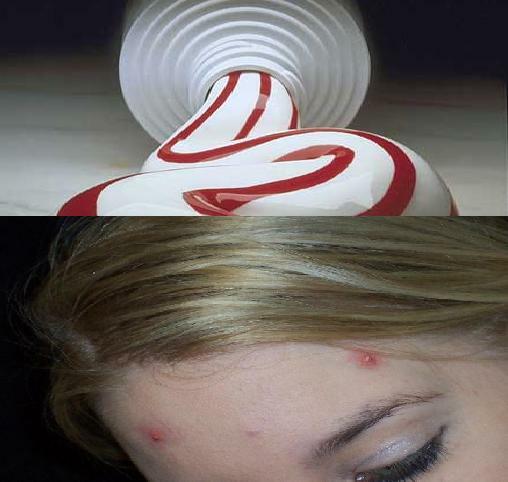 Pimples will give you low self-esteem. Pimples are embarrassing and can be frustrating when trying to get rid of them. So, what I'm going to do is share with you a home remedy for pimples. That way, you can increase your confidence and have beautiful skin. 1. Toothpaste is a great home remedy for getting rid of your pimples. Apply a small drop onto your pimples. Do this right before going to bed and let it stay until you wake up. Upon waking, you should wash it off. 2. Another home remedy for pimples is salt and vinegar. What you should do is mix salt and vinegar in a bowl of warm water. After mixing, gently rub the mixture onto your face. Wash it off after letting it sit for 20 minutes. 3. Rosehip seed oil is another home remedy for your pimples. This is a special kind of oil that is used in cosmetics. And it's extremely effective at getting rid of acne scars. What you want to do is massage the rosehip seed oil onto your onto pimples for 15 minutes, a couple times a day. 4. Another home remedy for getting rid of pimples fast is glycerin and sorbitol soap. Use this soap to wash your face a couple times a day. An example of this soap is neutrogena. 5. Drinking water is another home remedy for pimples. Your body has a lot of toxins in it that could cause you to breakout. So, by drinking plenty of water, you will be able to flush out the toxins. Drink at least 8 glasses of water per day. These are the best home remedies for pimples. If you have pimples and want to get rid of them, you have to do something about it now. If you don't, the pimples could spread.